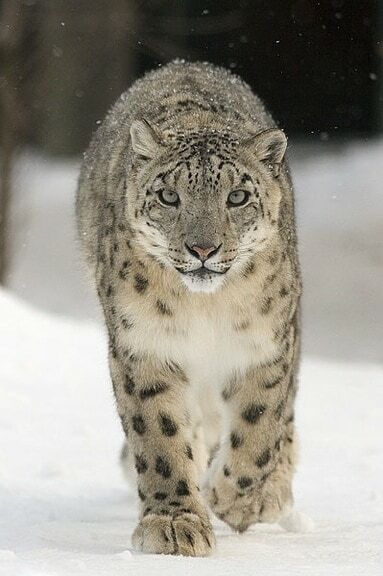 Typically living in alpine and subalpine areas anywhere from 10,000-22,000 feet above sea level, Snow Leopards are a bit smaller than the world’s other big cats, generally weighing 60-120 pounds and measuring just 30-50 inches from the head to the base of the tail. Like feline Hobbits, these beauties are short-legged and stocky, with bodies custom built for the harsh environments in which they dwell. Their fur is thick to protect against the bitter cold; their very long (31-39 inch) tails help maintain balance on rocky mountainous terrain and wrap around their faces like a blanket when they sleep; their paws are wide and have fur on the undersides (like big, hairy snowshoes); their ears are small and rounded to help minimize heat loss; and their nasal cavities are huge to breathe better in thin, cold air. 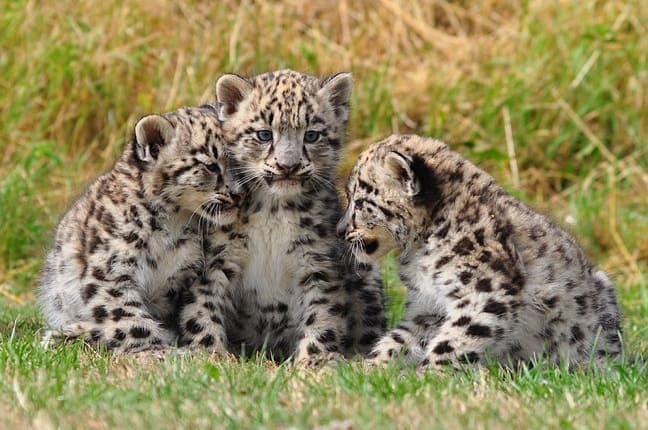 Perhaps most interestingly, the Snow Leopard cannot roar at all, but instead hisses, chuffs, mews, growls and wails. As recently reported by the Monga Bay website, Snow Leopard populations have been plummeting in recent years due to a sharp, shocking rise in the demand for their pelts (and taxidermy mounts) to be used in luxury home decor. Apparently rich folks love the look of their long, thick fur, whose base color ranges from a smoky gray to tan and white, with dark grey and black spots. According to the non-profit Environmental Investigation Agency, approximately 1,000 snow leopards have been killed for the illegal wildlife trade in the past dozen years, which is around 20% of the estimated wild population of 4,000-6,000. But poaching for profit isn’t the only problem facing these precious predators: Despite the fact that they live in frigid, high-elevation environments far away from most human habitats, a decline in their preferred prey (deer, ibex, etc.) due to over-grazing of domestic livestock has led to more deadly encounters with local ranchers and shepherds.